Earthy, industrial-looking mango wood. This bedside table was always going to be a looker. 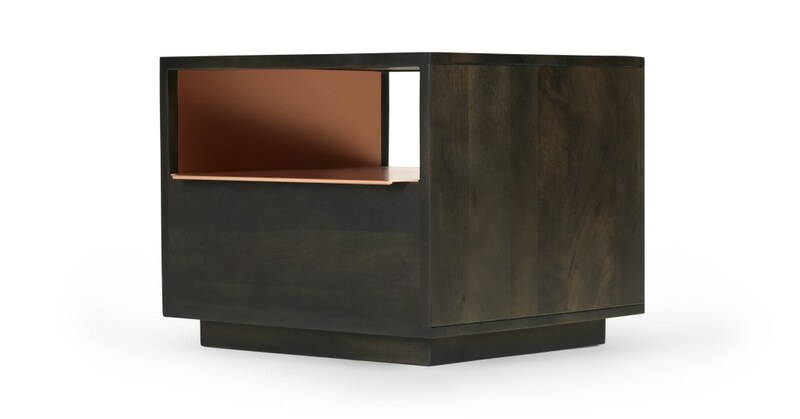 The copper trend's nailed too, thanks to the solid copper cladding – Anderson's a knock-out furniture piece to add a luxe feel to your space. Designed in-house and made in India. This chest of drawers boasts the solid mocha-hued wood and weighty frame you’d expect from a high-end piece, without the high price tag. Show-stopping look? Team with matching copper accessories around the room. Softer space? Cosy it up next to a bed adorned with a throw in blush and gold.